I’m SO excited to bring you guys this super affordable look for Valentines Day this year! Chad and I usually go to dinner somewhere really nice for this particular holiday and it’s one of the few times I get to play dress-up. This look is perfect for an evening date or even just a girl’s night out! Whatever the occasion, you can look stylish without spending all of your money on an outfit! Everything is linked below! YES! You just read that correctly. 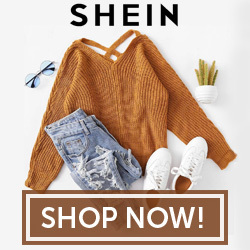 I paid $8.00 for this dress and it’s actually one of my best purchases from Shein! If you decide to get one, please purchase from my link so that I get credit for it. Your support means everything to me! I still can’t get over how much I love this little red dress! These are actually on sale right now and are normally $38.99 full price! Sizing is limited though, so head on over to Charlotte Russe and order yours before they sell out! I spent 2 hours walking around Downtown in these very heels and while my legs were tired, they were pretty comfortable for the most part! I love the crystal detailing! I am in love with this layered heart necklace. It’s honestly the perfect accent piece to this entire look! Perfect for Valentines Day and it was only $6.00 You cannot beat these prices! This was another great find at Charlotte Russe! I’ve been finding more and more cute things at Charlotte Russe lately, they’ve really upped their style. I have been getting so much positive feedback from all of my Amazon related posts so I just had to throw in this gold clutch that literally doubles as a crossbody! It’s not shown in the pictures, but it has a gold chain and can be worn both ways! I love this accessory to hold your phone and wallet on a date night! This goes with far more than just Valentines Day outfits! The grand total for this entire outfit comes to……. DRUM ROLL……. $48.00! Say what!? I know, I can hardly believe it myself. I’ve become really good at finding great deals and affordable fashion. I have a budget! When you have two children (dogs) at home you have to be frugal. lol! I LOVE the red dress! the whole outfit was put together really nicely. Thanks for in the inspiration! Such a cute dress! And love shooting at Sidney Berne Davis Center!